Home Acoustic Guitar Reviews Fender CD-60CE Review 2019! 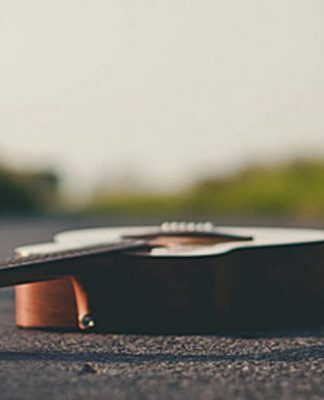 Are you a beginner looking for your first guitar? Today, we are going to review the Fender CD-60CE Dreadnought Cutaway Acoustic Guitar. A little bit later, you will know why we consider this acoustic guitar a great choice for beginners. With all the base features, including a built-in preamp with tuner, this guitar will make it easy for you to begin your journey in the world of guitar playing. Make yourself comfortable, and let us start off with the gorgeous Fender CD-60CE review! The cut-out body of CD-60CE is built of a laminated spruce top and laminated nato back and sides, which makes the guitar extremely strong and durable. The guitar is highly appealing thanks to its gorgeous body, mother-of-pearl acrylic rosette design, and new compensated bridge design. The neck with the 20-fret fingerboard and die-cast tuners is enforced with a dual-action truss rod. If you are used to playing with a guitar pick and are worried about scratches on the guitar’s body, the black pickguard will allow you to feel safe about the integrity of its body. Scalloped X bracing makes the guitar top sturdy and reliable, contributing to the long lifetime of the guitar even more. The spruce top of the guitar makes it’s top lightweight but strong. Thanks to its great weight-to-strength ratio, you won’t feel tired too soon during your practice or performance on the stage. The lightweight makes the guitar highly comfortable during both sitting and standing plays. The cut-out design of the guitar will make access to the last frets of the fingerboard much easier. You might have discovered that regular-body guitars are not quite convenient in that regard, so instruments with cut-out design are a great choice for those players spending considerable time on last frets. The pickguard of the guitar will allow you to feel freer while playing with a guitar pick. You will no longer have to constantly think about limiting and balancing your movements to not damage the guitar top. As the guitar has the onboard Fishman® Isys III System with preamp and tuner, you won’t have to bother with dedicating more storage space for separate equipment. Storage of the guitar itself is the only thing you will need to think about. The compensated saddle will allow you to start playing out of the box as the guitar comes pre-adjusted. Thought that materials are only used to make the guitar look nice? 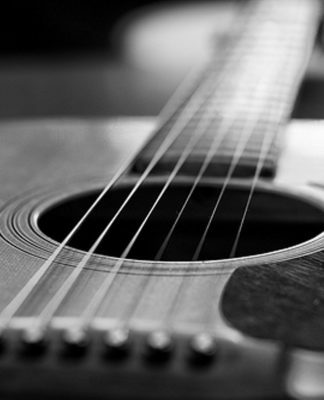 In reality, the materials of the guitar’s body are the most important factors of its sounding. In the case of CD-60CE, the spruce top makes the sound of the guitar more resonant. Nato wood is quite similar to mahogany, attaching generally the same level of mildness and brightness to the guitar’s tone. The cut-out body makes the bass less strong and more balanced, which adds more harmonic feel to the guitar’s sounding. This makes the CD-60CE a great choice for those guitar players who like more harmonious and less bass sound. The guitar features the Fishman® Isys III System with built-in preamp and tuner, providing excellent capabilities for beginning guitar players. Another great thing about the onboard system is that you don’t need to think about a full-sized amplifier if you don’t have resources or/and space for it. Maybe, you simply don’t need a separate amp. You can just use the built-in system until you are able to buy a full-sized one or when you become unsatisfied with its features and need something more. Laminated nato back and sides and laminated spruce top make the guitar beautiful, durable, and contribute to the sound of the guitar in their own way. Pickguard to protect the body from scratches. The cut-out design makes access to the last frets more convenient and balances the sound by slightly reducing the bass. Comfortable and easy-to-play both standing and sitting. Built-in preamp with tuner lets you postpone buying full-sized equipment. Laminated wood doesn’t mature, leaving the sound the same over time. Some other models of acoustic-electric guitars are backed up by a limited lifetime warranty. The upsides of the cut-out might be not so obvious and necessary for you. If you are not a beginner, the features of the built-in equipment will probably be not enough for you. Maybe this product can make doubt in your mind, feel free to compare it with our one of the best product, Ovation AB24-5 Acoustic electric guitar. Let’s check a video review! What is so different between laminated and regular wood? Unlike solid wood, laminated wood does not mature. 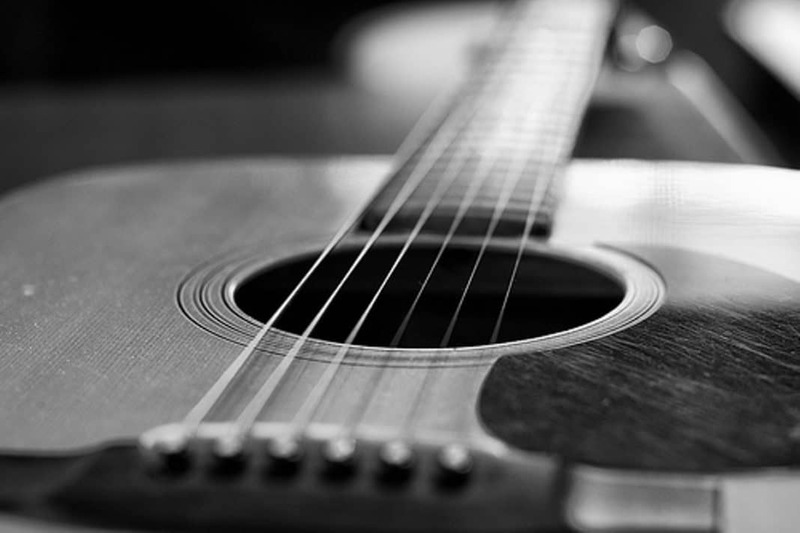 Maturing makes the sound characteristics of the guitar better over time. 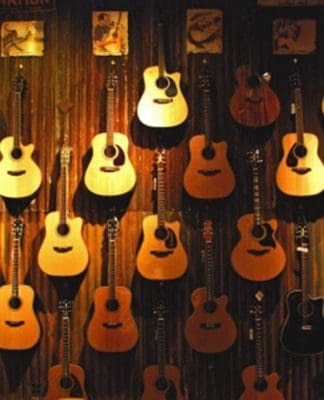 Usually, only the bodies of the most expensive guitars are fully made of solid wood. Cheaper models are typically made of laminated wood or feature solid wood top with laminated back and sides. You don’t need to think about the materials of the guitar that much if maturing isn’t the thing you are looking for. Otherwise, look among more expensive guitars. Should I get a full-sized amp? Otherwise, will the onboard one be enough for me? Before buying a guitar, try it out with a couple of different amplifiers to see how sounding changes with each of them. That way, you will be able to get an idea of what you like and what you need. Generally, beginners will be satisfied with the built-in preamp. Besides, if you don’t have much storage space, a guitar with an onboard preamp is a perfect choice for you. If you expect more deep controls and better sounding from your guitar and its equipment, you should acquire a full-sized amplifier. Just remember, your choice will depend on your requirements and your musical taste. Is this instrument the one and only guitar you have been looking for? With a great set of a variety of features, this acoustic-electric guitar surely is one of the best instruments in its class and price range. Being a great choice for beginners and more advanced guitar players, the CD-60CE should be looked into very carefully. Still in doubt and don’t know what to pick? 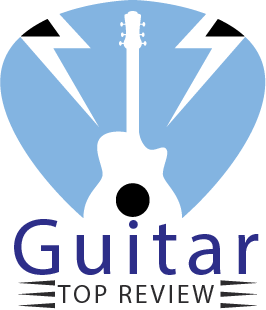 Read more reviews like Fender CD-60CE review, try out guitars yourself, ask someone more experienced, and you will find the best instrument for you. It’s you who has to make the final decision. Good luck! Previous articleAcoustic Guitar String Guide: Strings Explained! Next articleEpiphone PR-4E Review: Starter Choice!